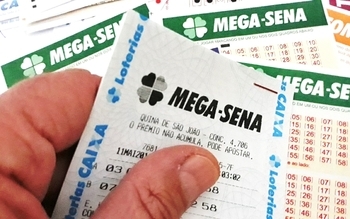 Brazil Mega Sena is not just Brazil’s biggest but also one of the biggest lotteries in all of South America—and how could it not be? It features great jackpots that start at R$2million (€475,000) and a fun and distinctive format that’s hard, if not impossible, to resist. But what else does this Brazilian beauty have to offer? Let's find out! Mega Sena was founded in March of 1996 by Caixa Econômica Federal, one of Brazil’s largest banks. This bank is also the operator of the majority of Brazil’s other popular lotteries, and most of the profits from these games go to promoting and supporting amateur sports as well as elementary education. Because Mega Sena’s jackpots are so large and its gameplay is so unique, the game quickly became the country’s most famous and most played lottery. And as its reputation spread, it didn’t take long before people in neighbouring countries started taking notice and playing it too. The format of Mega Sena is quite unlike anything we’ve ever seen before. At first glance it seems like any other typical double-matrix lottery, but upon closer inspection you’ll find it’s actually a single-matrix game that uses two drums during each draw. That’s because each of the drums contains only single digits, with the first drum holding numbers in the range of 0 to 5, and the second drum holding numbers 0 to 9. Unlike other lotteries whose double-digit numbers would appear on individual balls, Mega Sena’s double digits are created by combining the first and second ball. For example, the 4 from the first drum and the 8 from the second drum together would make 48. If a 0 is chosen from each drum, then the two numbers together are considered 60. If the 6 numbers in the range of 1 to 60 that you choose match those that are drawn and combined in the draw, you’ll win the jackpot prize. Instead of choosing their own numbers, players can also choose a Surpresinha ticket, which is just a random set of numbers that is automatically chosen for you. Another cool feature that is unique to Mega Sena is its annual Mega da Virada draw, which takes place on New Year’s Eve. What makes this draw special is that its jackpot prize is generally the biggest of the year. This is because approximately 5% of the prize pool from every other draw that takes place during the year is set aside for this particular draw. Also, unlike the normal draws, this draw has no rollover cap, so if someone doesn’t match all six numbers, the jackpot money automatically rolls down to the secondary prize tier—which has much better odds. What an incredible way to end one year and start the next! At 1 in 50,063,860, your chances of winning the Mega Sena jackpot aren’t exactly great, but they could be a lot worse. Although Mega Sena’s jackpots can reach some fantastic levels, there are other lotteries out there that offer even bigger ones. US Powerball, for example, has jackpots that have surpassed the US $1-billion mark, but the odds of winning are pretty dismal at 1 in 292,201,338. EuroJackpot jackpots can keep climbing until they reach the €90-million cap, but its odds are 1 in 95,344,200. UK Lotto's jackpots are comparable to Mega Sena’s, but the odds are a bit better at 1 in 45,057,474. Meanwhile, the likelihood of winning the similarly sized Swiss Lotto are 1 in 31,474,716, and the odds of winning Canada Lotto Max and Canada Lotto 6/49, both of which offer slightly smaller jackpots, are 1 in 28,633,528 and 1 in 13,983,816, respectively. All that being said, it’s important to remember that because Brazil Mega Sena only has three prize tiers, the payouts at each level tend to be a bit higher than what you’d typically find in other lottery games. In fact, 35% of the proceeds make up the jackpot, 19% make up the second prize, and 19% make up the third prize. The Brazil Mega Sena draws are broadcast live on a TV show called Momento da Sorte each Wednesday and Saturday at 8 pm BRT. All Mega Sena winnings are paid out in a single lump-sum cash payment. 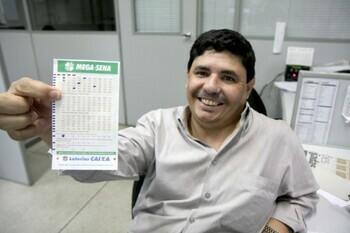 Brazil has a 13.8% tax on lottery winnings, which isn’t too bad. However, if your home country also taxes lottery winnings (including those earned abroad), then you’ll likely be double-taxed at the source and when you import the money back home. If you’re not sure about your government’s policy on this, then it’s a good idea to look into this. Hint: Google is your friend. 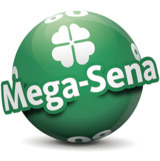 Because Mega Sena is so immensely popular, quite a few online lottery sites allow players from all over the world to partake in its fun and exciting gameplay. If you want to increase your chances of winning one of the three prize tiers, consider joining a lottery syndicate and/or subscribing to several consecutive games. This will save you time and could result in a win much faster than playing solo on a single draw. Brazil Mega Sena – Is It Worth Playing? Although the odds of winning the jackpot, the small number of prize tiers, and the tax amount might turn off some lotto players, they really shouldn’t because Brazil Mega Sena is still a solid game overall. The fact that there’s no cap on rollovers or jackpots means the prizes can reach some pretty outstanding heights, and the gameplay is different from any other lottery in the world. As a result, it’s got our vote—especially at the end of each year when the Mega da Virada draw takes place. If you're going to try your luck on any Mega Sena draw, this should be the one.